This class picks up where Expert Level 5 left off. In fact, this class could be thought of as part two of Expert Level 5. 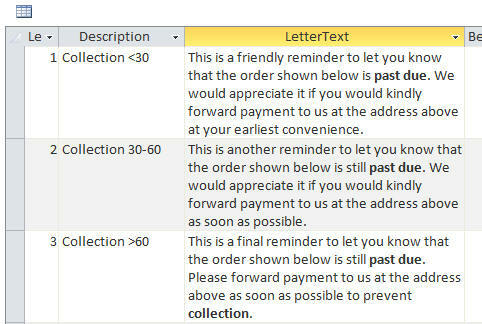 We will be sending late / collection notices to our customers, so we'll need to put some orders in the database for them. This will require setting up an order table and a query to show which orders are late. 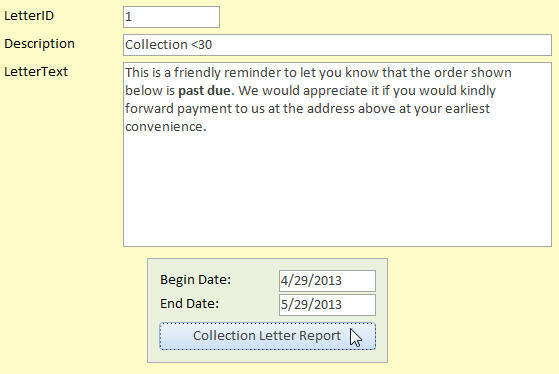 Once we have that in place, we can create a printable letter to send to all of those customers with past-due orders. We'll learn about some new detail section properties, how to force a new page between letters, and add the order information fields (due date, amount due, etc.) to the customer's letter. It would be nice if we could have several different collection letters - not just the one. So, we will create a letter table to store multiple letter templates. We'll create a separate letter for those customers who have orders less than 30 days old, another for those between 30 and 60 days old, and a final letter for those over 60 days old. It's a bit of a pain to have to manually enter in the dates when we generate each of our different collection letters, so we'll see how we can store date offsets (number of days) in the letter table, and have Access automatically change the begin date and end date for the letter date range when we generate each batch of letters, automatically. Now we'll see how we can broaden the scope of our letter writing form. We can use it to send letter to all active customers, or to customers in a specific category. So we'll add the "IsActive" field checkbox to the customer list form (for easy selection). Then we'll make a separate letter report we can send to just those customers. 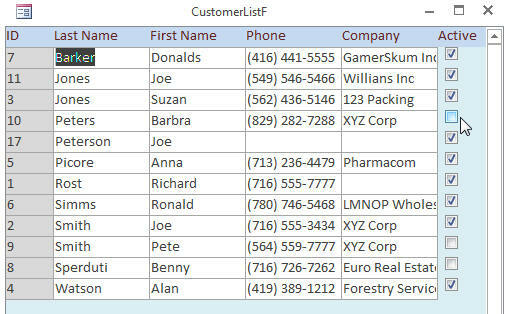 Finally, we'll create another letter report that we can send to all of the customers in a specific category. Remember the "Lead Source" combo box we added a few classes ago? We'll use that for our customer category list. 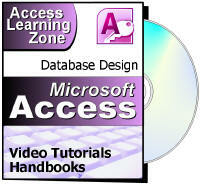 This is the sixth class in the Access Expert series. If you need to be able to print mass mailings from your Access database, then this is definitely the right class to take. Of course, if you have any questions about whether or not this class is for you, please contact me.